There was a security scare for PDP President Mehbooba Mufti when her convoy was attacked on Monday by stones in Anantnag district of Jammu and Kashmir while she was returning from a shrine, informed officials. 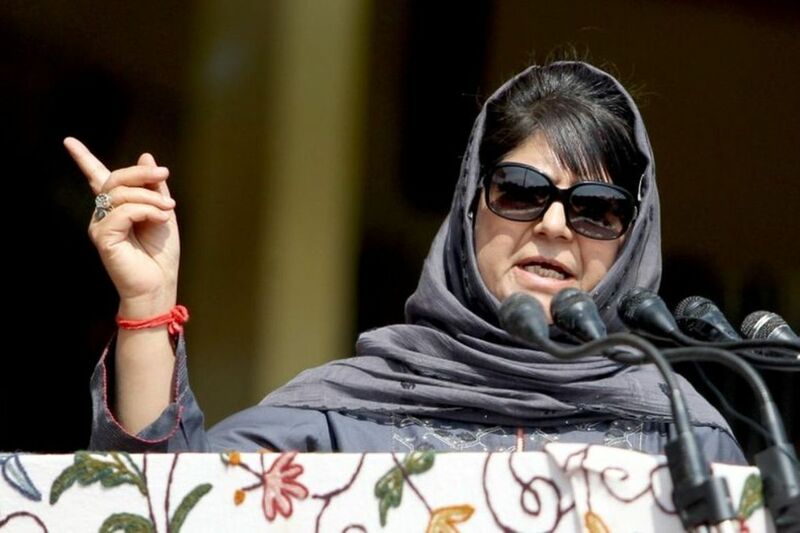 Mehbooba had gone to a shrine at Khirram in Anantnag district to pay her obeisance and was returning to Bijbehara when the incident took place, said the officials, adding that one of the vehicles in her convoy was damaged and its driver received injuries. Others in the entourage, including the former Jammu and Kashmir chief minister, escaped unhurt. Mehbooba is contesting the ongoing Lok Sabha election from the Anantnag seat which she had won in 2014. The south Kashmir constituency, spread over the four districts of Anantnag, Kulgam, Pulwama and Shopian, is going to the polls in three phases from April 29 to May 6.